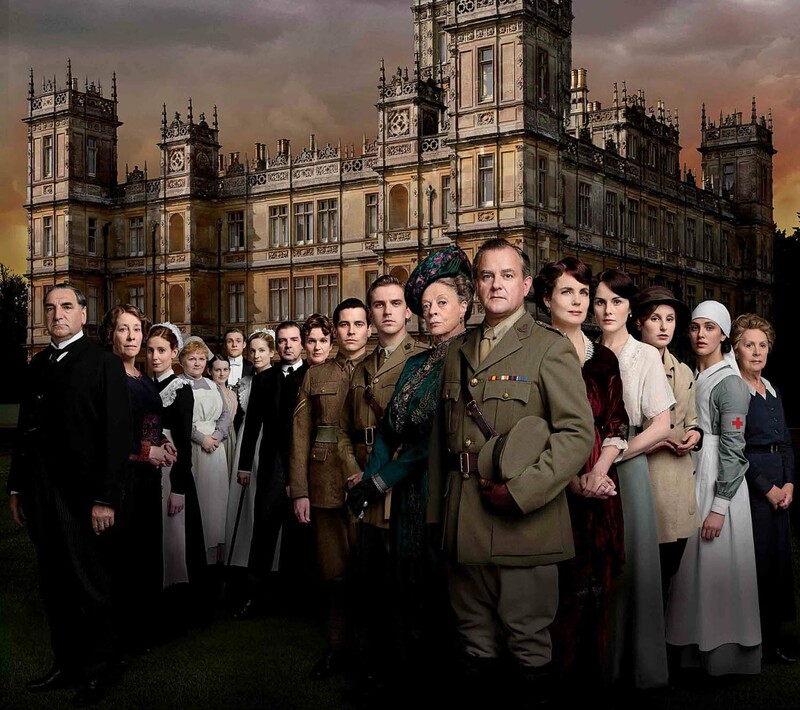 Downton Abbey drew a fair amount of negative commentary from certain critical circles in the UK during its second series for being too “soapy” and relying on what might be termed overly convenient or occasionally unbelievable plot twists. Is this charge, true? In some ways, yes. There are certainly elements in this season that could be fairly labeled predictable, over the top, or soapish. And you know what? It doesn’t really matter that much. It’s still a great ride that will make you gasp and flail and swoon and cheer – and this episode pretty much highlights all of those aspects – the joy and fun and emotional satisfaction can easily outweigh some of the questionable paths we might take to get there. So, big things from this week? Lady Edith is on Her Second Week of Being Awesome. Snarking at the soldier that’s flirting with Ethel? Helping Daisy find out what might have happened to William? Making the hard decision to tell Mary the truth about Matthew’s disappearance – and clearly motivated by the fact that she thinks Mary deserves to know, rather than selfishly trying to get one over on her sister? I like this Edith, who has suddenly become a decent person who thinks about others. It’s a whole new world. Mary’s New Attitude is Depressing. Mary’s rather opportunistic view of her relationship with Richard Carlisle continues to bother me a bit. During her conversation with her father, Mary comes across as so calculating with regard to her potential engagement – and the comment about Robert marrying Cora for her money was an unnecessary low blow. It’s understandable that she’s unhappy with Matthew engaged to Lavinia and it’s likely that she figures it doesn’t much matter who she marries if she can’t have him, but Mary’s never come across as overly concerned with things like wealth or status or titles and it feels weird to hear her keep making these arguments, like they’re all she has left. Ethel’s Poor Life Decisions. This is one of those overly soapy plots that maybe could stand a little toning down. Ethel makes the decision to sleep with the convalescent Major Bryant in what appears to be a broom cupboard or the most poorly maintained bedroom in history. Of course they get caught by Mrs. Hughes. As Ethel has been generally obnoxious since the moment of her introduction – her constant insistence that she’s ready for a bigger life than she’s currently living is both irritating and over-the-top (“I’m ready for a new adventure and I don’t care who hears me!’ Really? Who says that?) – it was terribly satisfying watching Mrs. Hughes sack her. We’ll probably be paying for that small moment of joy for weeks now that Ethel’s returned to the house pregnant and desperate, though I’m not quite sure why anyone at Downton (other than Anna, who is basically a saint) would be tremendously motivated to help her. But we’ll see where it goes. Bates is Back! (AKA: Anna and Bates! Anna and Bates!) Bates returns to Downton after an exceptionally sweet scene where Lord Grantham goes down the pub to apologize to his former valet for his awful treatment of him and ask him to come back to work for them. It’s a thoroughly charming scene and one that highlights that the two men are actually friends, of a sort, even though their closeness crosses all sorts of class lines. And, honestly, I can’t help it. The scene where Bates and Anna see each other in the hallway when he returns to Downton? Her smile, the “Thought it was you” comment? I mean, I’m not made of stone. And hugging in the yard! Yeah, I got a little swoony. But, Anna, please stop saying things like “Now we must get used to being happy and trust it.” Because when people make comments like that, it’s like saying “I’ll be right back!” in a horror film. You won’t be back, and you won’t be happy, and it’s just a question of time. And I kind of really, really need you guys to be happy, okay? The Little Soup Kitchen that Could. It’s nice to see the inclusion of the surrounding village in this story at last – in a lot of ways the setting of Downton the house is very isolated and insular – so it’s good to see that yes, there is a world that exists beyond those walls that is being impacted by the war in a very different and much more immediate way. And of course, it’s always satisfying to see some random petty scheme of O’Brien’s get thwarted, even if it’s only a C-plot. Matthew Crawley and the Amazing Dramatic Entrance. The entire recital sequence was perfect. Was it soapy? Yes. Was it sort of emotionally manipulative? Yes. Was it fantastic? YES. From the entire room – gentry, soldiers, and servants – all singing along with Mary and Edith, to the Dowager Countess’ wonderfully confused expression, to the sudden appearance of the presumed missing Matthew and William, to the incredible look on Mary’s face when she realized that Matthew was alive and safe. (I know I can’t have been the only one that yelled “She LOVES YOU, you IDIOT” at the television, right? Please someone say yes.) And then they sing a song together. I can’t ask for a lot more from my television, I really can’t. It was one of those moments where the emotional beats are so exactly right that you’re willing to overlook any and all plot contrivances or saccharine staging, because it’s just that satisfying. In this episode of The Durrells in Corfu, Louisa is preoccupied with aging as her birthday looms and her personal relationships remain uncertain.